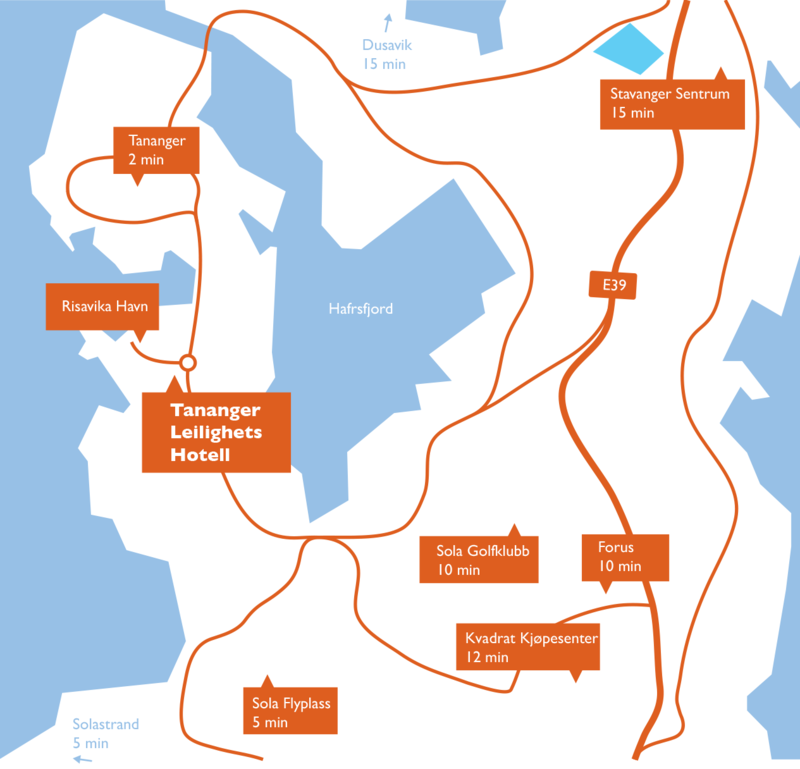 Tananger Apartment Hotel is located just off the roundabout in the heart of the port to Risavika. The hotel has a unique location with walking distance to the area's various companies and broad oil-/service environment. This means that our guests save time in terms of traffic and money related to taxi costs. Within walking distance there is also a grocery store that offers a small bakery. This store is also open on Sundays.